Amazon announced the launch of an exciting new feature, Alexa Cast with Amazon Music – a new way for customers to enjoy the music they love on Alexa-enabled devices. This feature allows Amazon Prime Music India listeners to play music and/or control music playback on their Alexa-enabled devices from the Amazon Prime Music app on iOS and Android devices. Now customers can easily transition the playlist from their app to Alexa-enabled devices for a continuous, uninterrupted music listening experience. Sahas Malhotra, Director, Amazon Prime Music India said, “Alexa Cast is set to make the music streaming experience for Prime members even simpler with its integration in Amazon Prime Music app and Alexa-enabled devices. We want to make sure our customers enjoy an uninterrupted music streaming wherever they go – from listening to music while driving your car or on your commute to entering your home, we want to make sure there’s no break in your listening experience. With a magical combination of Alexa voice controls and an ad free music streaming on the Prime Music app, we will continue to make your music listening experience easier, more natural and simpler”. With the launch of Alexa Cast, the music streaming experience on Alexa devices is enhanced as it offers an ability to swiftly switch between voice and Amazon Prime Music app controls. The Prime Music app will now be able to match the progress of the music playback making the task of switching between app and voice control smoother. Furthermore, in-app features on Prime Music such as recommended hand-curated playlists, stations, albums and new music are set to complement the Alexa music listening experience. Starting today, customers can update their Amazon Prime Music app for iOS or Android or download it from Apple or Google Play Stores. Navigate to “now playing” view to find the Alexa Cast icon on Amazon Prime Music app to begin playing music on Echo devices or simply tap the Alexa icon to bring up a list of all available Alexa enabled devices to select a device or group to start casting music. 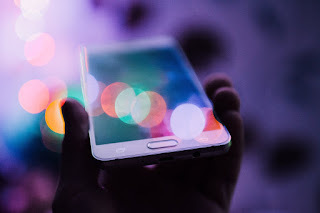 Amazon Prime Music is available on Android and iOS mobile phone apps, Desktop app and Web player, Amazon Fire TV sticks and Amazon Echo devices. For more information, visit www.amazon.in/amazonprimemusic. Prime Music is an ad-free service launched as a Prime benefit at no additional cost to the annual membership of INR 999/- and monthly membership of INR 129/-. Amazon Prime Music includes tens of millions of songs across major International and Indian music labels in over 10 languages including English, Hindi, Tamil, Punjabi, Bengali, Kannada, Telugu and more. 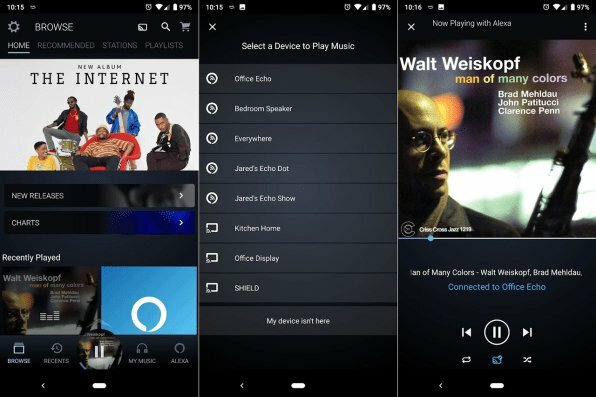 Amazon Prime Music is available on Android and iOS mobile phone apps, Desktop app and Web player, Amazon Fire TV sticks and Amazon Echo devices.